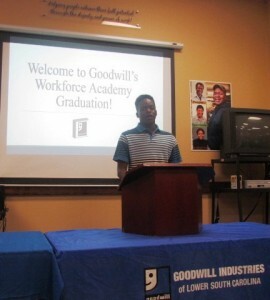 Student in Ms. Amanda Dukes’ Computer Technology program at Burke High School recently visited Palmetto Goodwill in North Charleston. 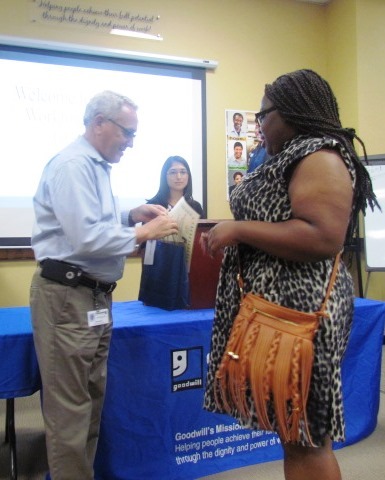 “Manish Mazyck, Director of Workforce Development at Goodwill, and her team gave us an interesting & “real talk” presentation about professionalism in the workplace and in job interviews” Ms. Dukes said of their visit. 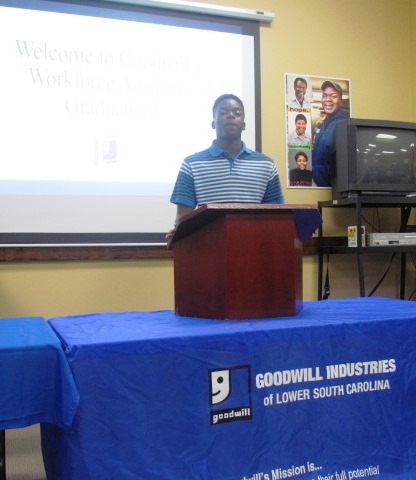 “She showed the various ways Goodwill can help job seekers prepare & train, and gave us a tour of the facilities.” Ms. Dukes added. 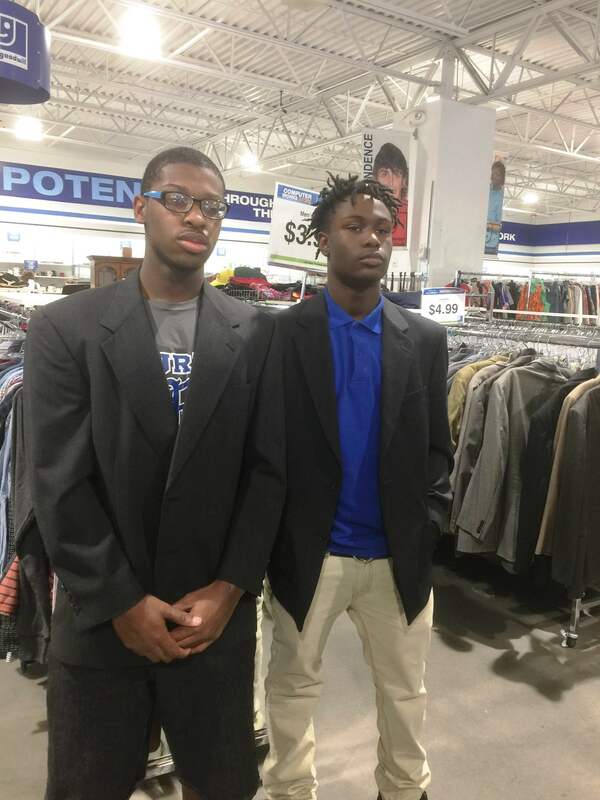 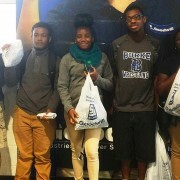 The students were thrilled that Goodwill also provided each of them with $35 vouchers to shop for professional attire in the Goodwill Shop. 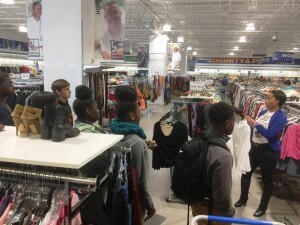 Students left with some great finds, and plan to use them in their mock interviews with Mount Pleasant Waterworks coming up soon. “The students and I think this was an invaluable experience, and one that will definitely help them in the long run”, Ms. Dukes said of their visit. 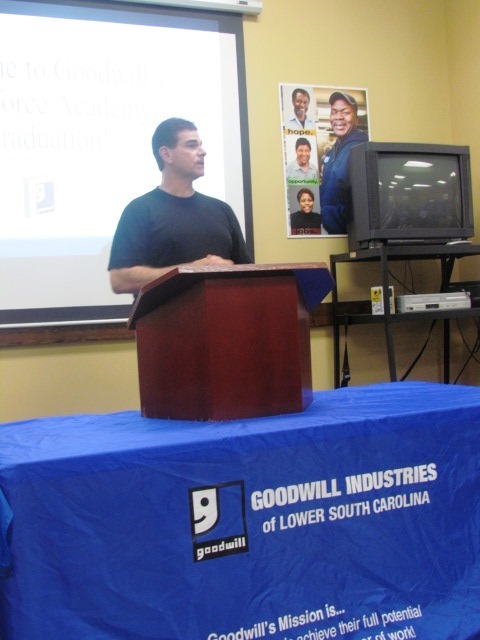 Thanks to the Palmetto Goodwill team for all they do for our community! 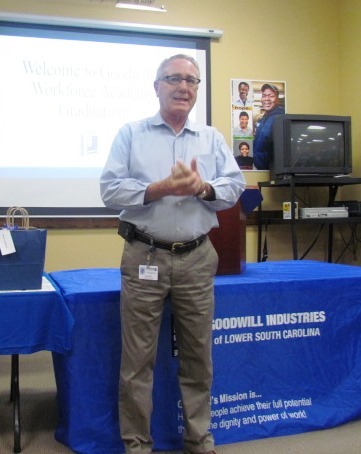 September 18, 2015 – North Charleston, SC – Palmetto Goodwill has partnered with R. B. 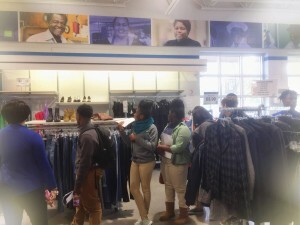 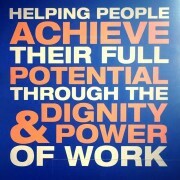 Stall High School to offer over a dozen students the opportunity to work and go to school at the same time! 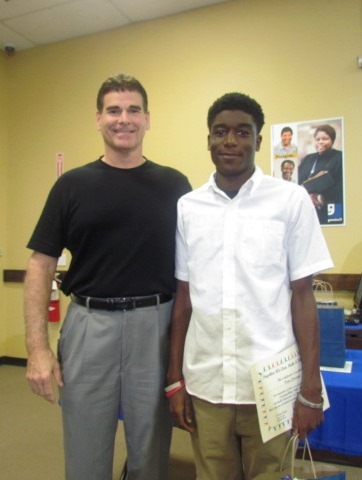 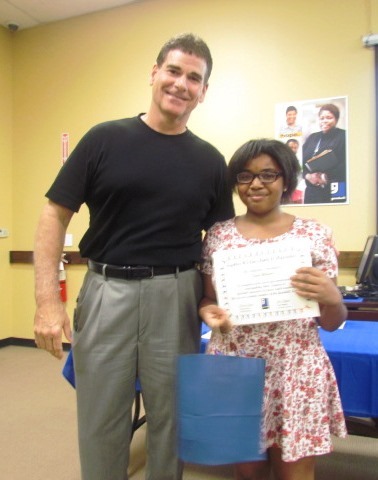 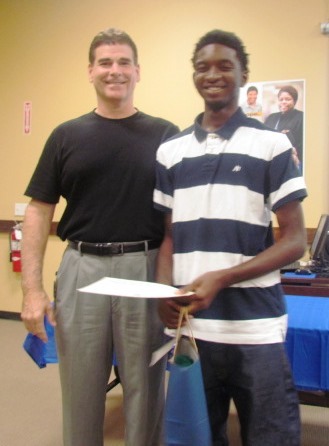 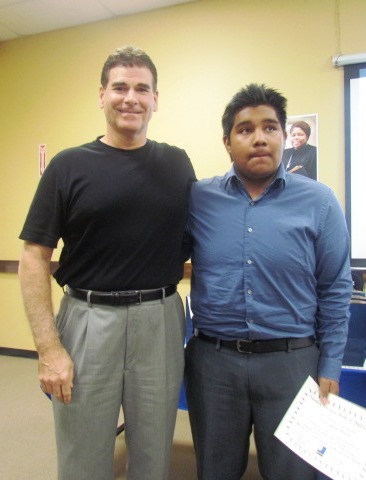 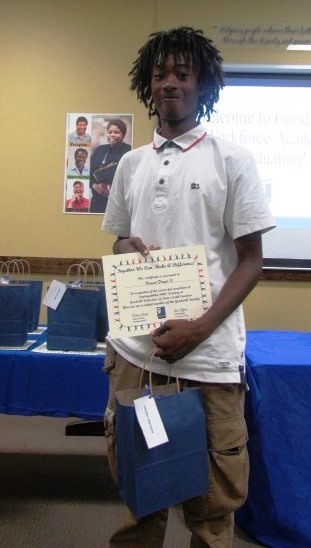 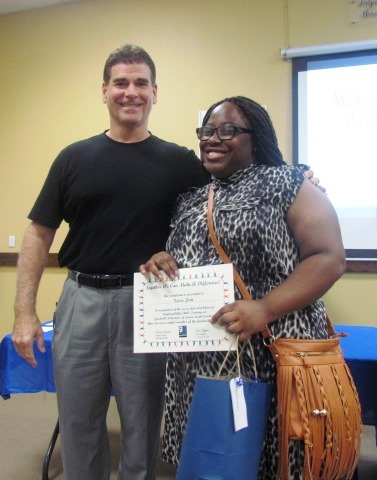 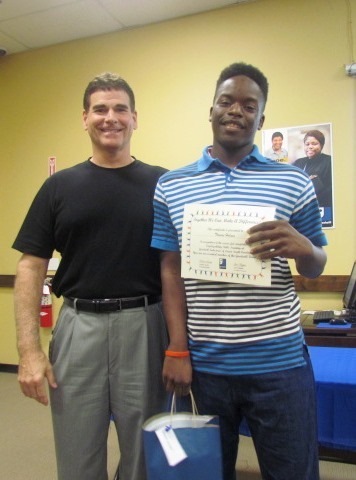 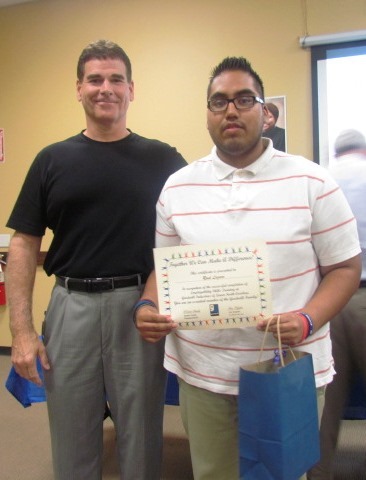 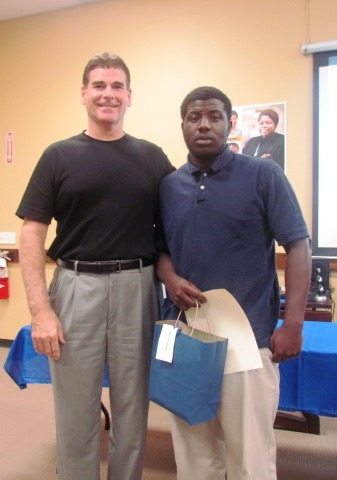 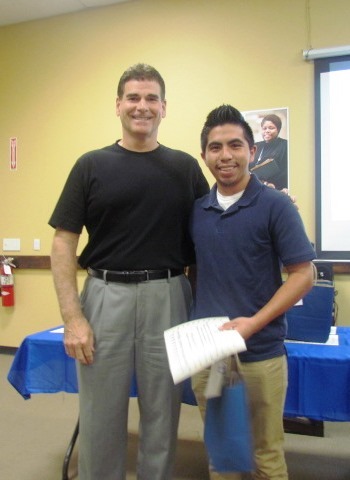 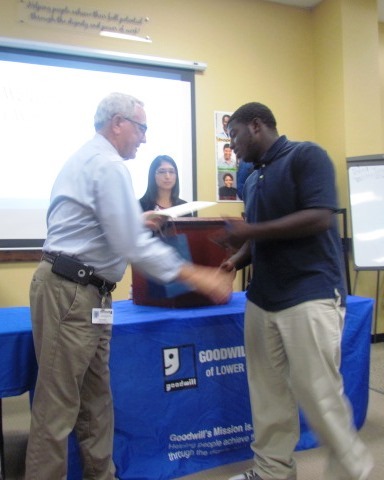 The program, dubbed Workforce Academy, began this summer with a job skills training course. When school started, the students in the Workforce Academy program began working every other day at the Goodwill facility on Rivers Avenue. 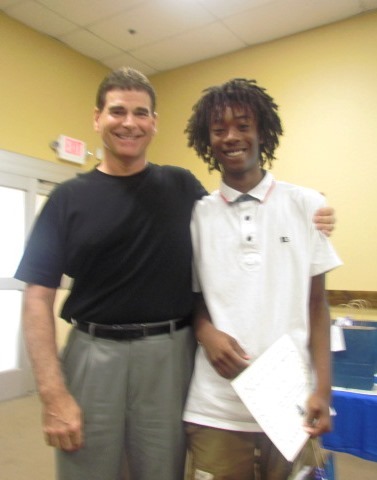 They each work about 20 hours a week, and on the days the are not working, they are completing their core high school course. 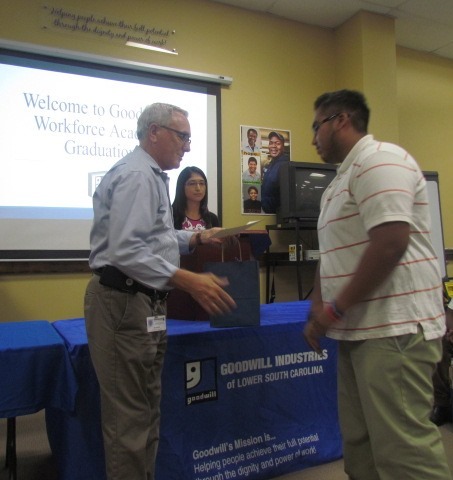 Thanks to this program, these students have the opportunity to earn a paycheck while they are completing their diploma requirements. 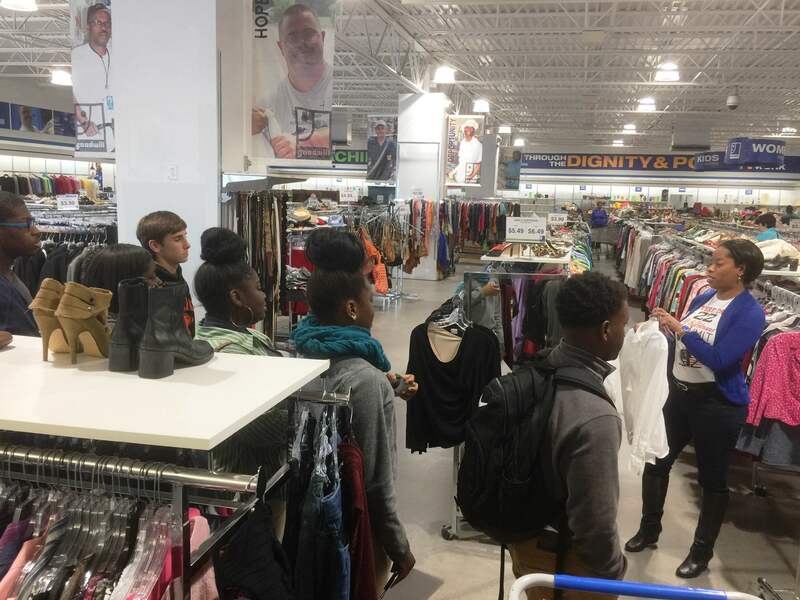 Special thanks to everyone at Palmetto Goodwill for welcoming these students on to their team, and to the extraordinary faculty at R. B. 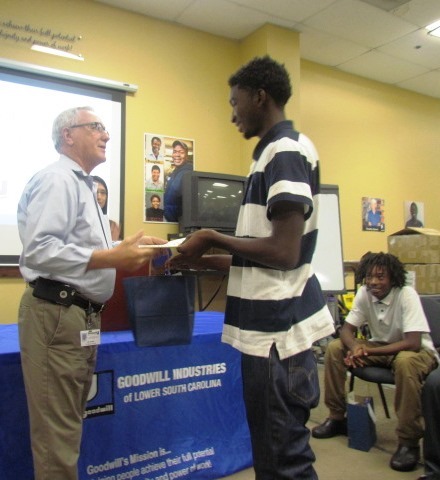 Stall HS for ensuring an innovative program like this can become a reality for the students. 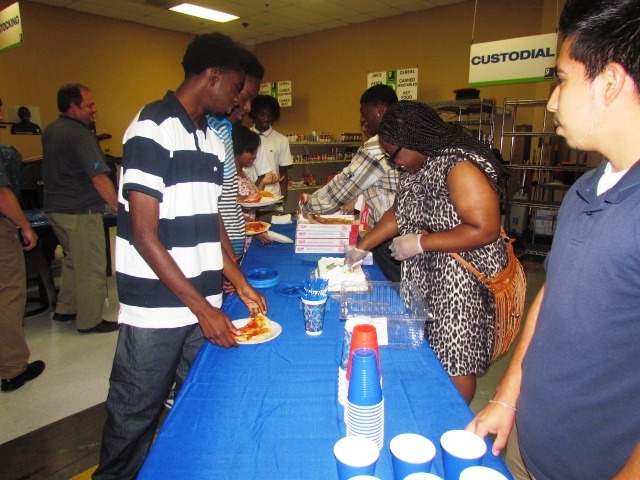 August 14, 2015 – North Charleston, SC – A new partnership between Palmetto Goodwill and R. B. 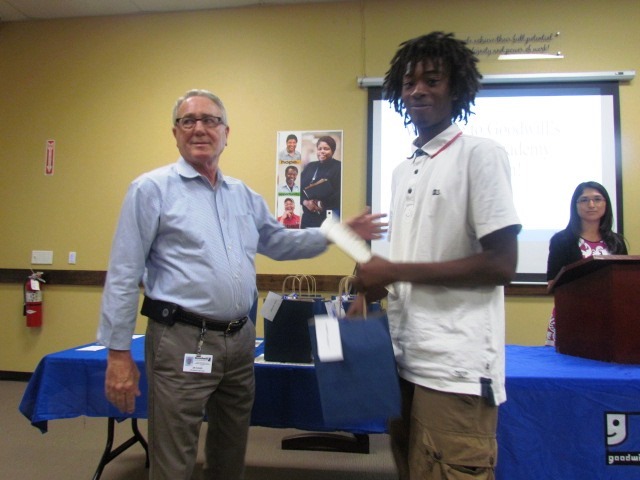 Stall High School called Workforce Academy is offering students the opportunity to earn their diploma AND an hourly wage at the same time! 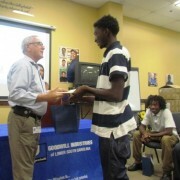 Each of the 14 students in the first cohort of the Workforce Academy program have a unique class schedule. 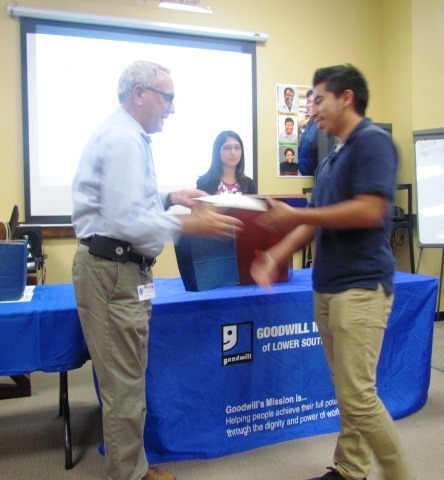 Some will go to school and work at Goodwill on alternate days, and some will work after school hours. 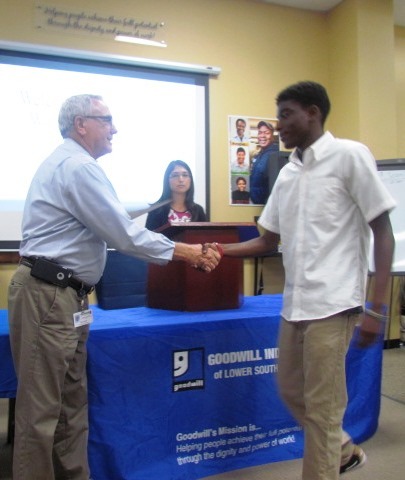 Each participating student will earn high school work-based learning credit and a paycheck from their employer, Palmetto Goodwill. 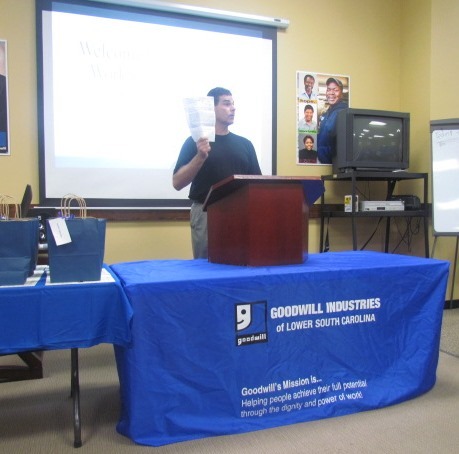 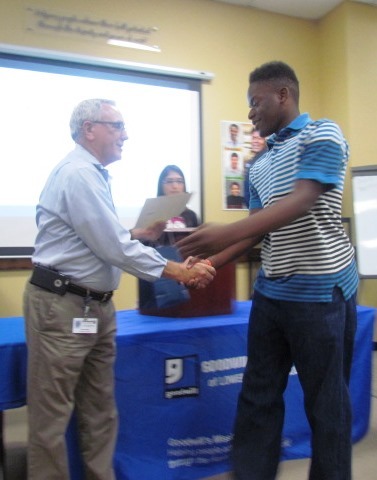 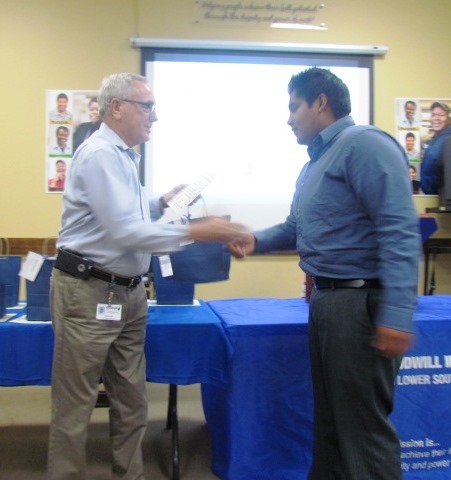 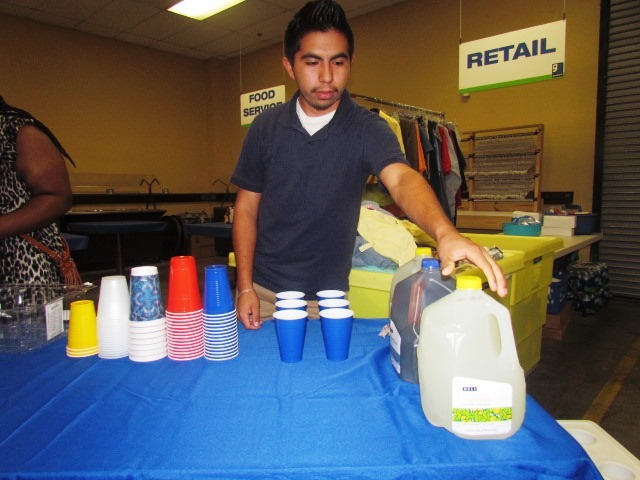 With every job comes certain requirements for new employees – Goodwill held their new employee orientation & career skills training class from August 4-14 for the participating students. 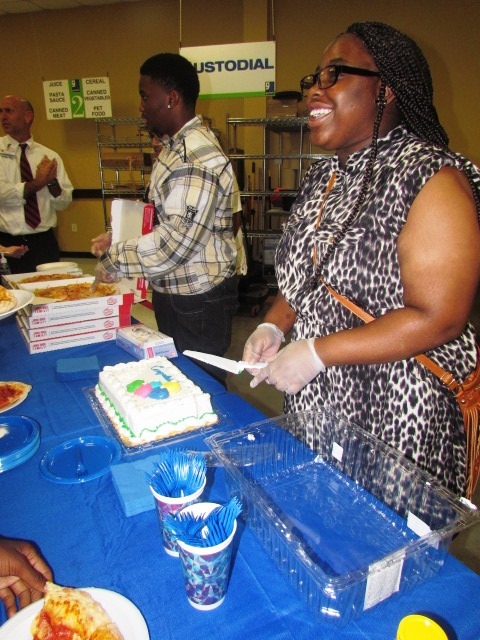 Enjoy these pictures from the ceremony held Friday August 14 at the Goodwill Training Center on Rivers Ave – the students enjoyed pizza and cake after the ceremony that was also attended by many of their high school teachers. 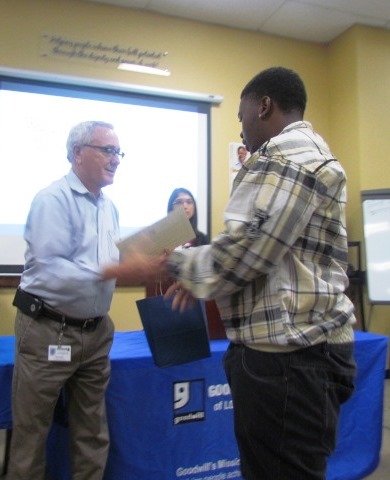 We could not be more proud of these students’ achievements, and their commitment to completing this important training prior to the start of the school year. 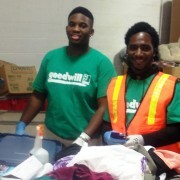 Thanks to Palmetto Goodwill and the administrative leadership at R. B. 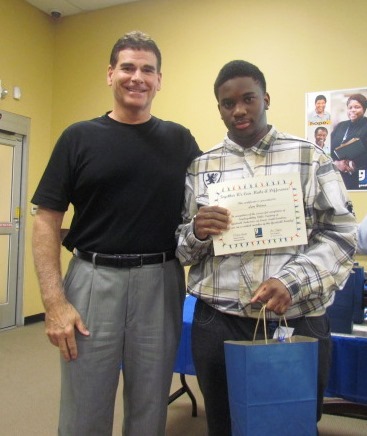 Stall High School for their dedication to making this personalized learning opportunity possible for these students!